5 beers on, all top names including a porter,but all were too warm. Thornbridge / Thornbridge Hall - Jaipur 5.90 Flavoursome, but too warm. Had to put ice in it. Good afternoon crowd in. 5 top beers on offer. Northdown - Muggy Porter 5.00 Decided to give this a go, and it was lovely. Ramsgate Brewery (Gadds') - Black Pearl Oyster Stout 6.20 Superb condition. Oakham - Maelstrom 5.20 Another beer playing up. Could be the warm weather? Saturday lunchtime and few in. A good atmosphere as usual in here. Gareth, Ian and I sat at the back above the bar and put music on the jukebox. Great pub. Dark Star - Hophead (some, if not most, also brewed by Fuller's) 3.80 Slightly weird taste to it. 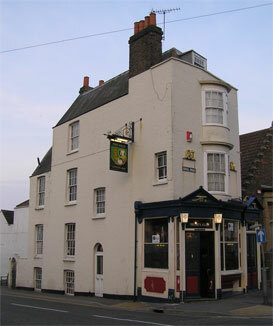 The pub is found in Ramsgate, Kent, CT11 9JS. 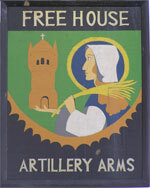 A small corner pub on a hill not far from the town centre. It has a rather rambling interior with the main seating area raised above the bar floor and a basement seating area too. Glorious stained glass street windows. 6 handpumps on the bar counter. 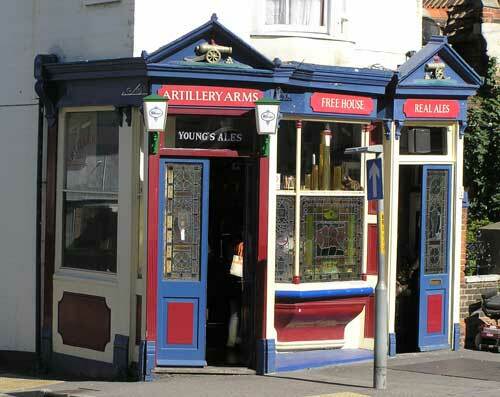 We have visited this pub 273 times, seen 324 different beers and tried 243 of them.